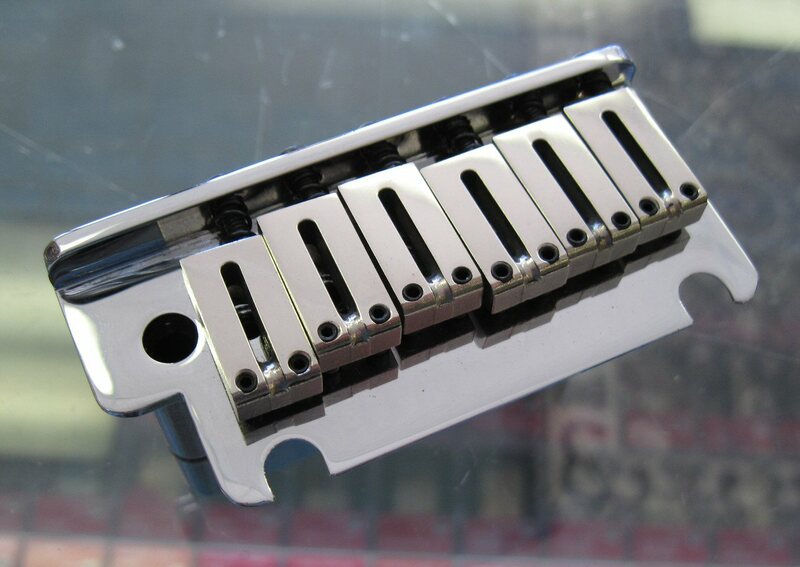 Genuine Fender American Deluxe / American Elite Stratocaster tremolo assembly. Fits all American Standard, American Deluxe, and American Elite models. 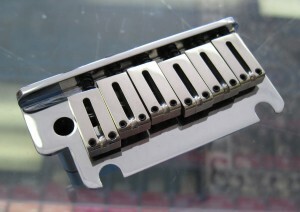 Includes top plate, polished saddles, steel block, arm clip, and arm tension set screws as shown. 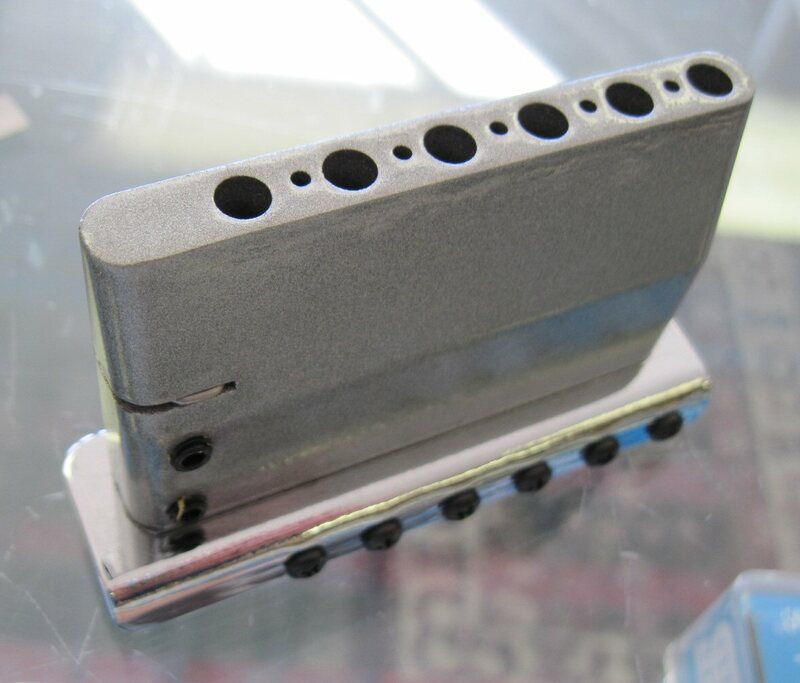 Pop-in tremolo arm Fender part# 0036534049 sold separately.